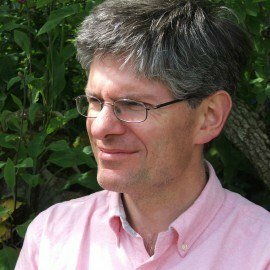 Alec Ryrie is Professor of the History of Christianity at Durham University. After publishing several academic works, his first foray into trade publishing was The Sorcerer’s Tale (OUP, 2008): ‘very elegantly written …Ryrie shows himself to be as much a stylist as a scholar’, said Peter Ackroyd in The Times. His double prize-winning Being Protestant in Reformation Britain (OUP, 2013) was described in the Times Literary Supplement as ‘immensely rewarding … No book has ever brought early modern Protestantism to life so vividly, so eloquently and so movingly’. 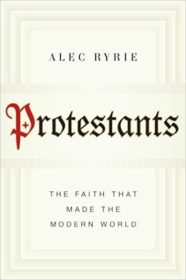 In 2017 HarperCollins (UK) and Viking Penguin (US) published his Protestants, a global, 500-year history of this huge, protean religious movement, ‘a masterly history’ (Wall Street Journal) written with ‘the affection of an insider and the judgement of a first-class historian’ (Sunday Times). His Unbelievers: How Modern Atheism Came to Be will be published by HarperCollins in 2019.